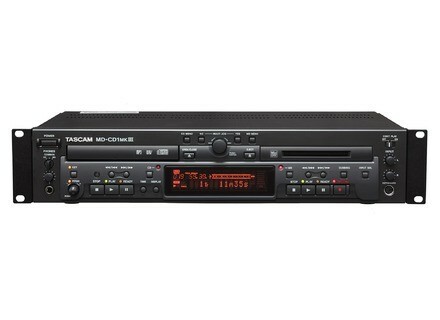 MD-CD1mkIII, CD/DVD Player from Tascam. TASCAM has revved its combination CD Player / MiniDisc recorder to the MD-CD1mkIII. The new model upgrades the digital I/O and the CD player now supports WAV file playback in addition to MP3 files. [Musikmesse] Korg MP-10 Pro Media Player Korg has introduced the MP-10 Pro Professional Media Player—a musical companion for mobile entertainers, solo keyboardists, singers, and amateur musicians. [Musikmesse] Denon DN-V500BD Denon Professional is launching the DN-V500BD professional Blu-ray player.